The 6V6 slatboard 80 and 40 meter kit Pastime Projects offers continues to sell very well. If you require a crystal or two for this transmitter, please contact us at pastimeprojects(at)yahoo(dot)com. We have in stock or access to additional crystals not listed in our web site www.pastimeprojects.com. Last week we started receiving all kinds of orders on our web site www.pastimeprojects.com for our 6V6 transmitter kits. We havent seen this kind of volume since the week a group of ham radio members decided to buy the ‘slat board’ kits as a club project. Glad to have the business! It was generated by Martin Huyett, K0BXB who wrote in the November 2012 QST “Have fun building the simplest transmitter”. 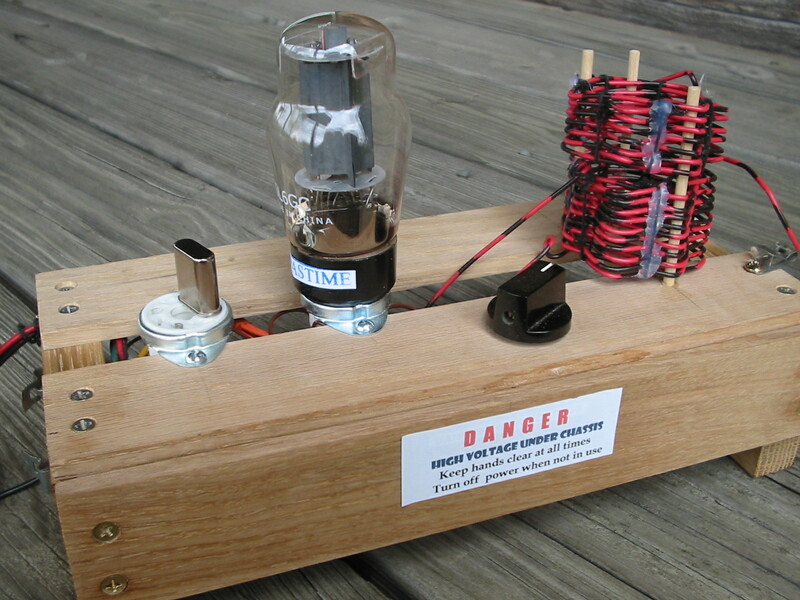 Martin built a 6V6 slat transmitter with his junk box parts and a solid technical background. He states, however, that if your junk box lacks the parts or you dont want to figure out the details, BUY A KIT SUCH AS … OFFERED …BY PASTIME PROJECTS. That triggered a lot of purchases from us. It is nice to work from a kit of parts as well as an instruction manual that takes you step by step through the building, wiring, and soldering phases of the kit.. Thanks Martin for a great article and a positive spin on our product..
We finally have a nice break in the weather as the seasons in Ohio change. Rain has returned to north central Ohio and our crops are in ok condition. The cooler weather allows us to catch up on chores. With winter coming, Pastime Projects looks forward to some new product introductions. We are looking at new sources for some of our parts used in production. Our goals are to reduce costs, which translates into fewer cost increases to our customers, and better product reliability. We are trying to improve the quality of components in both new and existing products. More on this later. Hope you enjoy the change in seasons . Glenn NN8G pastimeprojects (at) yahoo (dot) com. You are currently browsing the R3tr0rad's Blog blog archives for October, 2012.